07 Nov Is Your Old Garage Door Too Dangerous? Don’t wait ’til it’s too late! 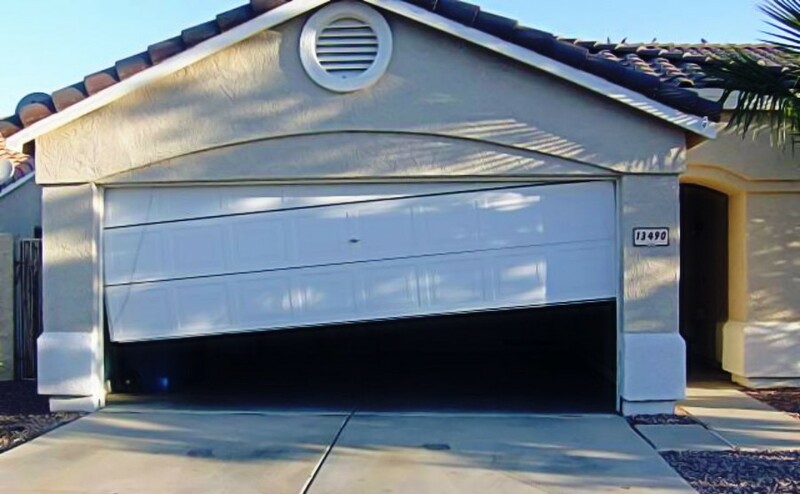 Your garage door is a lot like your car. It’s easy to underestimate the value of it until it doesn’t work. And then, panic stations! How can you get your car out for work? What if it won’t close in the rain? And how can you keep your stuff secure? Or worse – what if your door seriously injures? Garage doors can weigh over 135 kg (usually more), and your springs do the job of lifting that door each time it opens and closes. The torsion springs run along the inside of the top of a sectional garage door and at the left or right-hand side on a tilt door. On a roller door, they are internally fitted inside the barrel the roller door winds around. As the springs age and rust, they become dry and brittle, deeming them more likely to snap. If your springs snap, they can cause serious damage to your garage door, anyone nearby or valuable nearby possessions like cars or bikes. Garage door servicing can help extend the quality and lifespan of your springs, but wear and tear is an unavoidable fact of life. 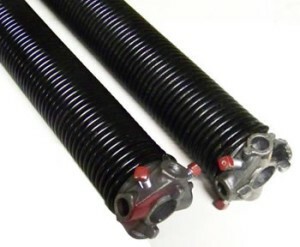 Consequently, you may need to replace your garage door springs if they’ve become too old. Old, Dry & Rusty Garage Doors? Guardian Doors encourages all our customers to check your garage door (included as part of our ‘door demo’ with all our garage door service calls). We also show you where to lubricate your door. Certain areas require more lubrication than others, and on an old garage door you will have rust spots, dry fixings, tracks with build-up and general wear and tear to all of the door hardware. The salt content in Perth air can also intensify these issues, especially when living close to the coast. Replacing your old and worn garage door can sometimes be more costs-effective than replacing all parts. If you think it may be time for a new garage door, check out Guardian Doors gallery or call into our showroom in Wangara to see the vast array of options available. Door past its use-by date? Computer and mechanical technology has advanced in leaps and bounds during the last decade or so. And along with this advancement, garage door motors and operating technology has also advanced. For example, you can sync your garage door remote to your alarm system, auto gate and other doors, or open your garage door via an app on your mobile from anywhere in the world. If your motor is of a certain age, it may be time for a replacement. (you wouldn’t use a 2002 mobile phone so why operate a vital part of your home security on a motor past its time?) Guardian Doors can provide a quote or free assessment on your garage motor, offering you invaluable professional advice tailored to your needs. B&D Panel lift Icon (Let’s start with the best.) B&D Panel Lift Icon sectional garage doors are fully insulated and come with all the ‘bells and whistles’. Heavy-duty, high-quality fixings, whisper-quiet motor and a range of options such as auto-lock, PE beams, B&D remote app and an extensive range of colour options, partnered with an unrivalled 10-year motor AND door warranty. 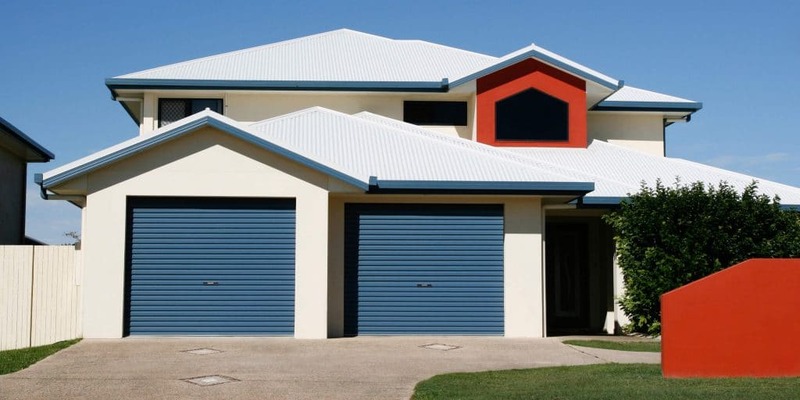 Steel-Line garage doors: Steel-Line has a huge range of styles and colour options to choose from, as well as eco-friendly garage door solutions and bush fire-rated garage doors. Steel-Line garage doors come with a standard 1-year door warranty, and when installed by Guardian Doors, have an extended 5-year motor warranty. CW 77mm insulated garage roller shutter: Guardian Doors installs this exclusive garage door roller shutter, complete with an inbuilt motor, safety break system and battery backup, as well as optional extras such as photocells and many control options. 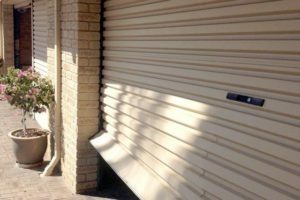 The 77 mm insulated roller shutter is available in a range of Colorbond colours and has plenty of street appeal. Replacing your garage door can address all the issues above – and give your house a much-appreciated facelift. Guardian Doors can help you with everything you need: choosing the most suitable door, installation – and an aftercare package. We’ll even send through SMS service reminders.